Cailey Tingler is a first year HUB staff member and a senior at Hubbard High School. 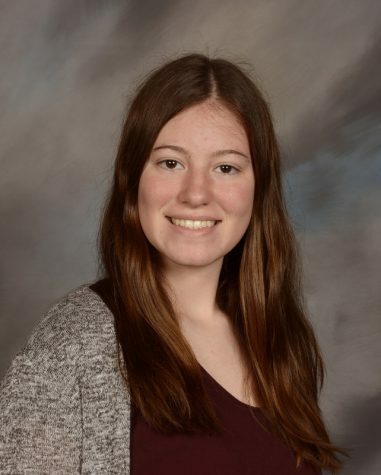 Cailey was thrilled to join the HUB because she loves writing about interesting topics and events, whether they concern school, community or the nation as a whole. Cailey hopes to hone her writing style by gaining experience through the HUB. Cailey is involved in many clubs and extracurricular activities. In both Spanish Club and National Honors Society, she is the treasurer while also being a member of Ecology Club. She is a member of Hubbard’s basketball team, devoting time outside of school to keep active and involved in school extracurriculars. Cailey plans on maintaining her 4.0 GPA and graduating at the top of her class. In the future, Cailey plans on attending college at an as yet undecided location in order to gain her undergraduate degree. After graduating, she plans on continuing her education in the medical field.